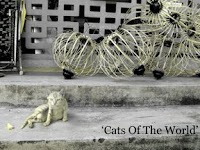 Benvenuto or welcome to the blogsite for "Cats Of The World' photo exhibition aka 'Gatti Del Mondo' in italian. This year’s exhibition will be bigger and better, and continues to spread the message about the joys of our feline friends and that cats all over world are the same - lovable and purrrrfect! 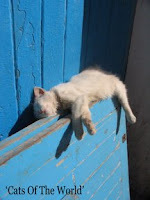 A visual celebration of cats, the photos - contributed by amateurs and professionals - will showcase these furry animals in unique situations and settings (such as out-of-reach rooftops and Mediterranean islands!) in various countries, which also capture them in their element – graceful, lazy, sneaky, aloof, loving etc. The idea of the exhibition first came about because a bunch of cat lovers realised they have a small collection of cat snapshots taken all over the world in exotic places such as Morocco, Italy, Turkey, Cambodia, Laos and Vietnam. And when we spread word about it, we got some lovely pictures of cats in Singapore too! With this exhibition, we hope to create awareness that cats and animals in the bigger picture have a place in our society and heart. As our world becomes more developed and crowded, there seemed to be less public space and compassion for animals. 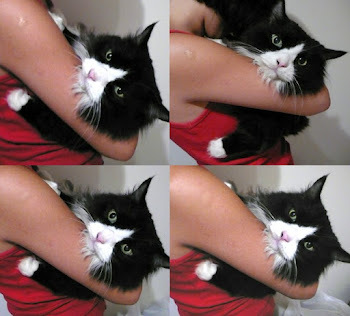 So let us celebrate the joys of our feline friends and all creatures big and small! - This year's collection will feature 50 cat photos, including a new section called "Mono-tones" that is devoted to black-n-white or sepia shots, so click away! 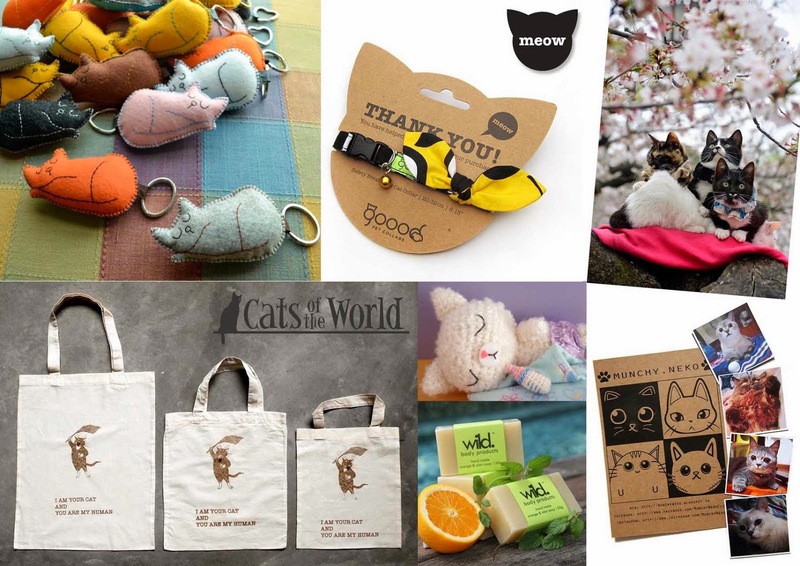 - We're also hoping to raise funds for our adopted Cat Welfare Society via a silent auction. Visitors can bid for each exhibited photo by emailing us their secret top bid amount. The photo will go to the highest bidder at the end of exhibition. - Since this is an entirely self-financed project, each contributor is required to pay a nominal S$15 per photo for framing and admin costs. So if you have 3 photos shortlisted, kindly include S$45. - This year, HP is sponsoring the printing of the photos so contributors just have to email us the hi-res photos once shortlisted. Framing and exhibition launch costs will be parked under admin costs. - We are not profiting from this personal project which is meant to share everyone's love for cats and passion for photography. Contributors will get this chance to exhibit their works as well as "donate" their photos to raise funds for Cat Welfare Society - all for a good cause! - The selection process is determined by the co-organisers and entry decisions made are final. Email us your entries from now untill 30 April 2008 - submission deadline.